Video: Tennis System "Memories & Broken Dreams"
Video: Inspiral Carpets premiere "Let You Down"
Morrissey adds more tour dates...in U.K.
Curve set for reunion in 2015? 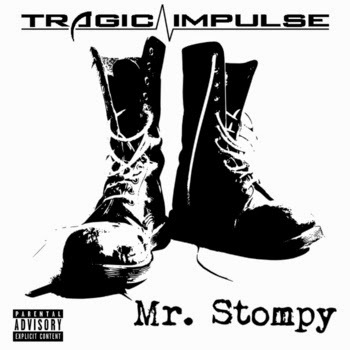 Industrial/electro groove: Tragic Impulse "Mr. Stompy"
Pittsburgh's Tragic Impulse debuted a pretty fun song titled "Mr. Stompy" this week. The industrial/electro track pokes fun at "Mr. Stompy" aka the annoying person at the dance club who hogs the entire dancefloor, and while doing so, pokes/rams/slams into others with blatant disregard. You've seen this play out a zillion times and it's always annoying, so let's revel in the satire! Stream "Mr. Stompy" below and grab it as a name-your-own-price download from Bandcamp. For more on Tragic Impulse, visit the official website here.